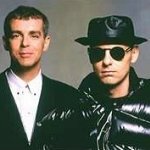 On November 1st Parlophone will release "Ultimate Pet Shop Boys", a "comprehensive greatest hits collection", featuring 19 hit singles in chronological order from "West End girls" to "Love etc." The Special Edition version will feature a DVD containing a series of classic BBC TV performances from "Top Of The Pops" and other shows recorded over the last 25 years as well as Pet Shop Boys' celebrated Glastonbury Saturday night headline show from June which the Daily Telegraph judged to be "one of the most spectacular Glastonbury moments ever". The full track-listing will be on this site shortly. 2) Kupodivu tam není Go west. Na oficiálních stránkách je jen tracklist dvd kde si čerpal info o tracklistu cd? 4. What Have I Done To Deserve This? geri: Tak to se omlouvám. Nějak jsem to pomotal. Sorry. Snad si tu nelákavou hrůzu nakonec přece jen nechceš koupit?? ?